Anne Boleyn was the second wife of King Henry VIII of England. Her grandmother was Margaret Butler of Kilkenny Castle, Ireland. Anne Boleyn was Queen of England from 1533 to 1536. Her marriage to Henry VIII led to the start of the Reformation in England. Henry VIII married to Catherine of Aragon in 1509. She was the widow of his older brother, Arthur Prince of Wales. The marriage of Henry and Catherine produced a daughter, but no surviving sons. The daughter would become Mary I of England. Henry was dissatisfied with the marriage to Catherine. He had become infatuated with Anne Boleyn. His request to have his marriage to Catherine annulled was refused by Pope Clement VII. Henry assumed supremacy over religious matters and the English clergy declared his marriage to Catherine invalid. He married Anne Boleyn on January 25th 1533. Anne Boleyn’s Irish cousin, Piers Butler of Kilkenny was created Earl of Ormond by Henry. The marriage led to the schism between England and the Catholic Church. The marriage of Henry VIII to Anne Boleyn produced a daughter, who would become Elizabeth I of England. The failure of the marriage to produce a son disappointed Henry. 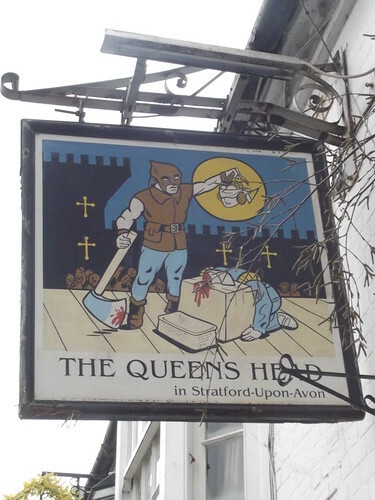 In 1536 he had Anne arrested for high treason. She was found guilty and sentenced to death. 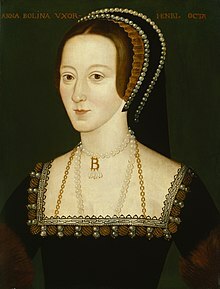 Anne Boleyn, Queen of England and the second wife of King Henry VIII of England was beheaded in the Tower of London in the year 1536 On This Day.